Welcome to the website of James Penman Wood Syme. We hope you will enjoy this selection of his work: landscapes, mainly Scottish; houses in France; and trees, singly and in groups. The displayed collection will vary over time. 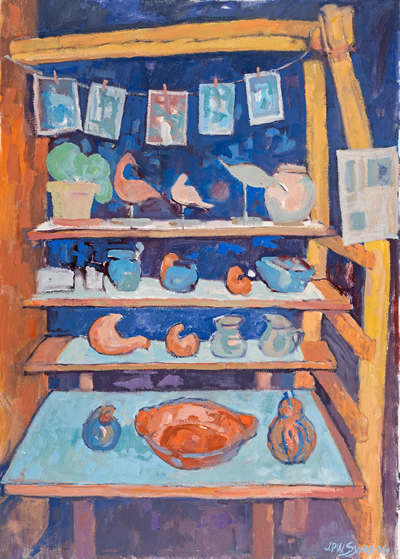 Although Jim was an exhibitor at the Royal Scottish Academy for more than thirty years, retirement gave him the freedom, and energy, to produce a considerable body of work which has not been seen until now – paintings of imaginative composition, fine draughtsmanship and subtle colour.